Synonyms can be modified to support Online Analytical Processing (OLAP). 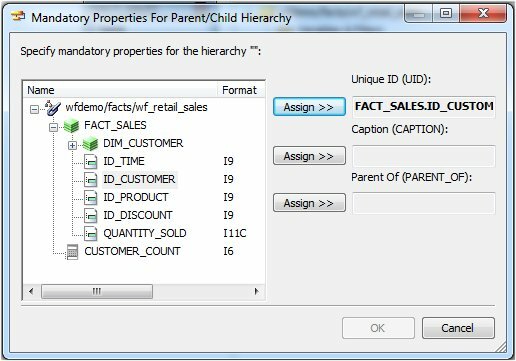 The Synonym Editor provides tools to create OLAP hierarchies and dimensions. OLAP enables you to drill down or roll up on hierarchical data, pivot fields from columns to rows (or vice versa), and slice-and-dice information by filtering or querying data sources based on specified criteria thresholds. You OLAP-enable the Master File by using the Synonym Editor to create dimension(s) at the field level and associate fields with each dimension. Note: OLAP is a reporting facility. It is not relevant to data maintenance projects. The Dimension Builder enables you to create logical views based on enterprise data (relational or legacy data sources) for multidimensional analysis without manually editing metadata. 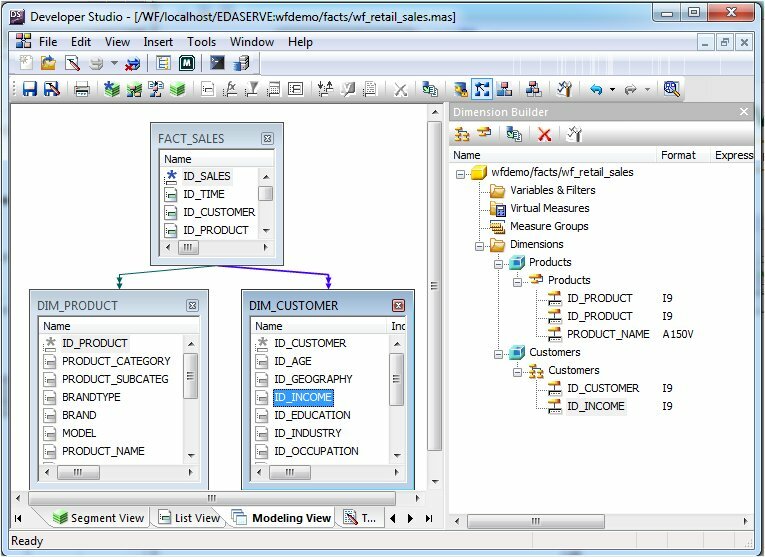 The Dimension Builder works with relational and FOCUS data sources. You can enable the Dimension Builder by selecting Dimension Builder from the toolbar or the Tools menu. Click the Dimension Builder icon on the toolbar. Click Save from the File menu to save the dimension. This process enables you to edit an existing Master File, add tables (for non-FOCUS Master Files), and create and modify dimensions. The dimension is saved and stored in the Master File.